This post has gotten a lot of attention lately, thanks to a mention in the UU World. Welcome to new readers. It was originally posted in February 20, 2013. I like the new categories, but have one that is not quite a fit. The Church of the Larger Fellowship is the largest group of these UU's. These congregationless UU's are more than free range, and certainly not "lost sheep". 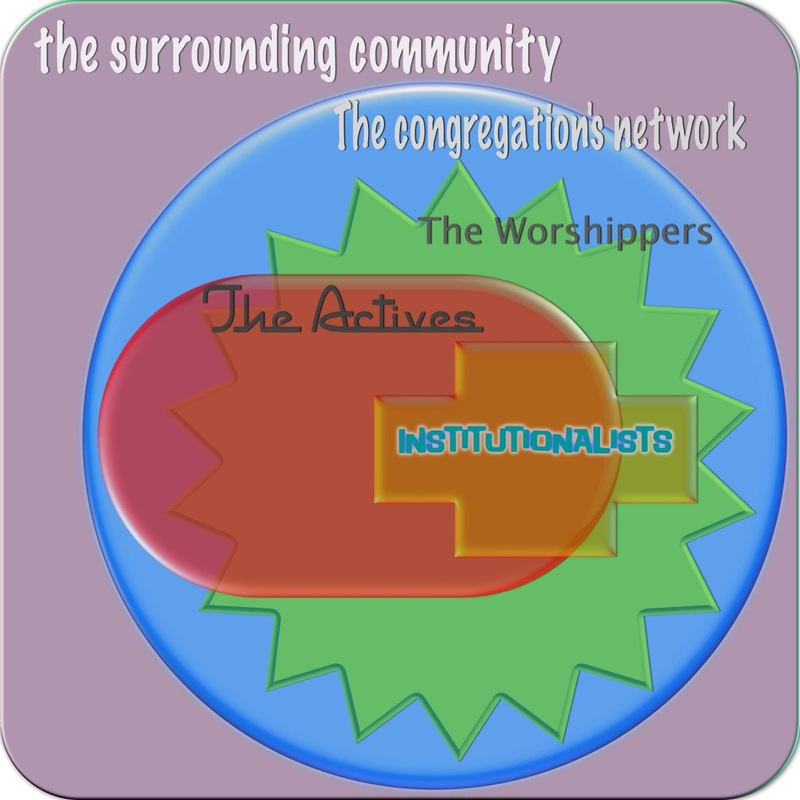 We are deeply involved in the denomination, but sometimes either members of a congregation, but not actively participating regularly, or CLF activists, or other Beyond Congregationalists who understand that the neighborhood congregational unit is not a necessary or useful modern organizing concept. I am what I might call, but never admit to being to my friends, a congregational member in name only (MINO), was for a long time a congregational activist, but since being elected to the board of directors of the UU Ministry for Earth, an active participant in cluster/district/regional activities and most certainly denomination-wide issues. The presumption that the congregation is an important unit is no longer necessary in an electronically connected age. It is the relic. Yes, having a place to go to hear, talk to and meet people is great. However, for me, that can just as well be a Facebook page, board meeting, national rally, where it is easy to find "the Love People" by the yellow shirts. Maybe the closest analogue in the 20th century was the CLF. What that will look like in the 21st century is obvious to me, I have been doing it across the country for almost 10 years. I suggest an additional, 21st century category, something along the lines of Church of the Larger Fellowship, but less formal, and more integrated than "beyond congregationalists", less insulting than "lost sheep", and more deeply involved than "free range". There are many of us who are barely tied to a congregation (members in name only - MINOs), but deeply involved in the denomination in some way. My primary attachment to UU structure is through my membership with the UU Ministry for Earth. When I travel to rallies, give presentations at congregations, or visit events (like Citizens' Climate Lobby conferences, Tim DeChristopher's trial, or the Tar Sands Action, for example), I find UU's everywhere. Sometimes, we are obvious at the "love people", a mass of yellow t-shirts, other times, language about principles, or other sometimes outright statements of belonging. Consider us denominationalists, or principals. We are the heart of 21st century UUism.